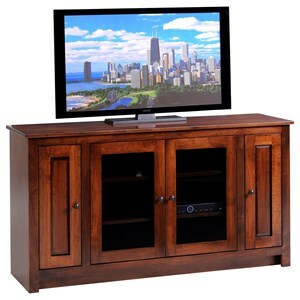 Save on floor space when you add this corner TV stand to your living room. 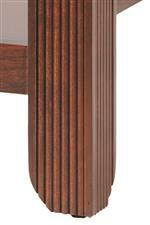 Fluted feet and a frosted glass doors offer a traditional look to this piece. Adjustable shelving behind the glass doors provide plenty of storage for media devices and more. 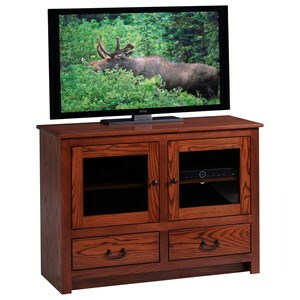 The Arlington 52" Corner TV Stand with Two Glass Doors by Y & T Woodcraft at Saugerties Furniture Mart in the Poughkeepsie, Kingston, and Albany, New York area. Product availability may vary. Contact us for the most current availability on this product. 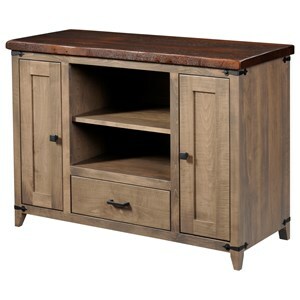 Showcase beautiful Amish craftsmanship and classic style with the Arlington collection of accent tables and entertainment centers. Pieces are made in America with your choice of oak, maple, cherry, or quartersawn oak solid wood, as well as custom options for finish and hardware. Drawers and shelves on each piece provide great living room storage, while detailing like fluted legs add a touch of traditional flair. Rustic and warm, the Arlington collection delivers heirloom-quality durability and style. The Arlington collection is a great option if you are looking for Traditional furniture in the Poughkeepsie, Kingston, and Albany, New York area. 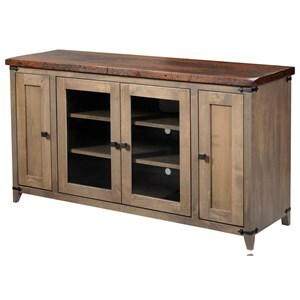 Browse other items in the Arlington collection from Saugerties Furniture Mart in the Poughkeepsie, Kingston, and Albany, New York area.